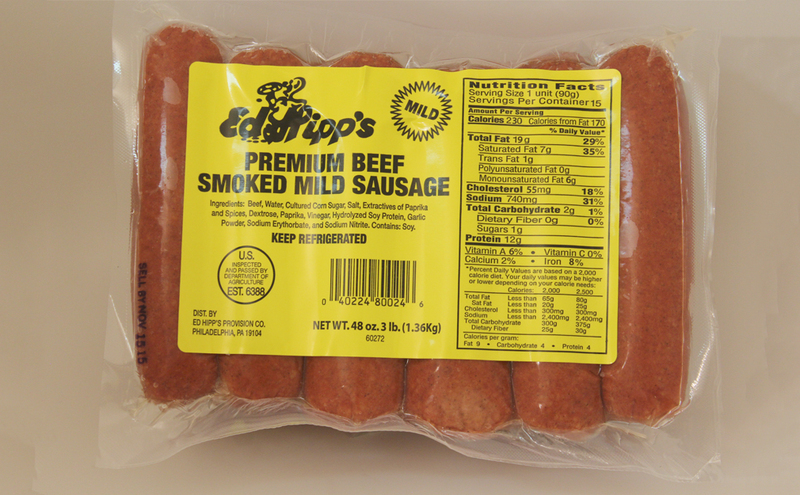 Ed Hipp's Premium Beef Smoked Mild Sausage, 3 lb. package - Ed Hipp Foods, Inc. Product available in 1 lb. package.